What Is a Hashtag and How Do I Use It on Twitter? What Is a Hashtag on Twitter? Confused about Twitter hashtags? You're not alone. If you're new to the popular microblogging network or any other social network that uses hashtags, you're probably feeling a little left out. Once you understand what they are and how they work, you'll probably want to get in on all the hashtagging fun for yourself. Here's what you need to know. 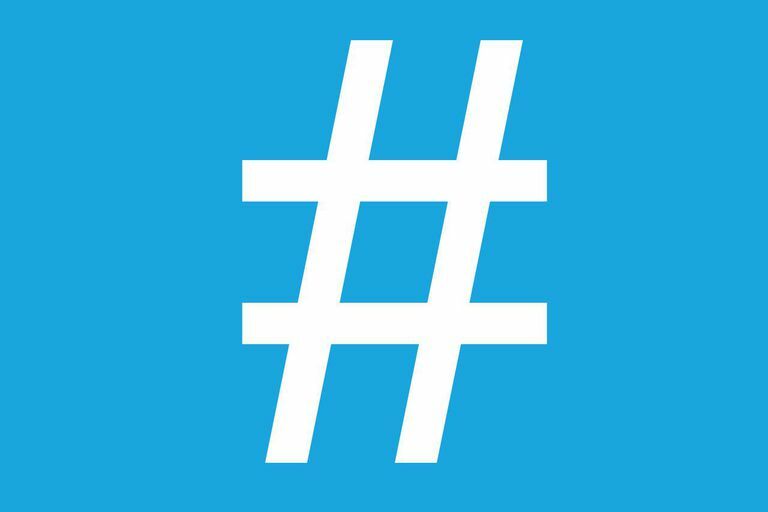 A hashtag is a keyword or a phrase used to describe a topic or a theme. For example, "dogs" could be a hashtag, and so could "border collie puppy training." One is a broad word and the other is a phrase that's far more specific. To create a hashtag, you have to put the pound sign (#) before the word or phrase and avoid using any spaces or punctuation (even if you're using multiple words in a phrase). So, #Dogs and #BorderColliePuppyTraining are the hashtag versions of these words/phrases. A hashtag automatically becomes a clickable link when you tweet it. Anyone who sees the hashtag can click on it and be brought to a page featuring the feed of all the most recent tweets that contain that particular hashtag. Twitter users put hashtags in their tweets to categorize them in a way that makes it easy for other users to find and follow tweets about a specific topic or theme. It's great to use hashtags, but it can be easy to make mistakes if you're still new to the trend. Here are some things to keep in mind. Use specific phrase hashtags to hone in on a particular topic. Going too broad with a hashtag like #Dogs may not get you the engagement you're really after. A hashtag like #BorderColliePuppyTraining will not only include less irrelevant tweets, it will also turn up better-targeted users tweeting or searching for that specific topic. Avoid using too many hashtags in a single tweet. With only 280 characters to tweet, cramming multiple hashtags into your tweet leaves you with less room for your real message and just looks spammy. Stick to 1 to 2 hashtags at a maximum. Keep your hashtagging relevant to what you're tweeting about. If you're tweeting about the Kardashians or Justin Bieber, you wouldn't include a hashtag like #Dogs or #BorderColliePuppyTraining unless it was somehow relevant. Make sure your tweets and hashtags have context if you want to impress your followers. Hashtag existing words in your tweets to save room. If you're tweeting about dogs and you already mentioned the word "dogs" in your tweet text, then there's no need to include #dogs at the beginning or end of your tweet. Simply add a pound sign to the word within your tweet to keep it simple and save more valuable character space. Use Twitter trending topics to find hot and current hashtags. In the left sidebar of your home feed on Twitter.com or in the search tab of the Twitter mobile app, you'll see a list of trending topics that are a mix of hashtags and regular phrases according to your geographical location. Use these to get in on conversations that are happening at the current moment. Once you get used to seeing and using hashtags on Twitter, you'll wonder how you ever lived without them. This is one big social media trend that isn't going to fade away anytime soon!